Recently voted “Best Place to Take an Out-of-Towner,” and one of the “Best Museums Off the Mall,” by Washington City Paper readers, the National Bonsai & Penjing Museum is the first and finest of its kind in the world. It is free, open to the public and is a great way to tour DC off the beaten-path. One of the best spots to relax and meditate in DC, the Museum is located on the grounds of the U.S. National Arboretum in Northeast Washington, DC. Supported in large part by the National Bonsai Foundation, this museum displays and studies superior bonsai, penjing and related arts for the education and delight of visitors. A visitor can best experience the Museum in DC by entering along the Cryptomeiria walk to the Mary E. Mrose Exhibit Gallery. This pavilion gives the visitor information and is a display area for educational exhibits and collection shows. To follow the path of historical development of the art of penjing and bonsai, the next stop is the Yee-sun Wu Chinese Pavilion that houses the penjing collection. Moving across the courtyard to the Kato Family Stroll Garden the visitor is introduced to the oldest of the structures, the Japanese Pavilion. (The Japanese Pavilion was renovated and re-opened in 2017. Learn more about that initiative here.) 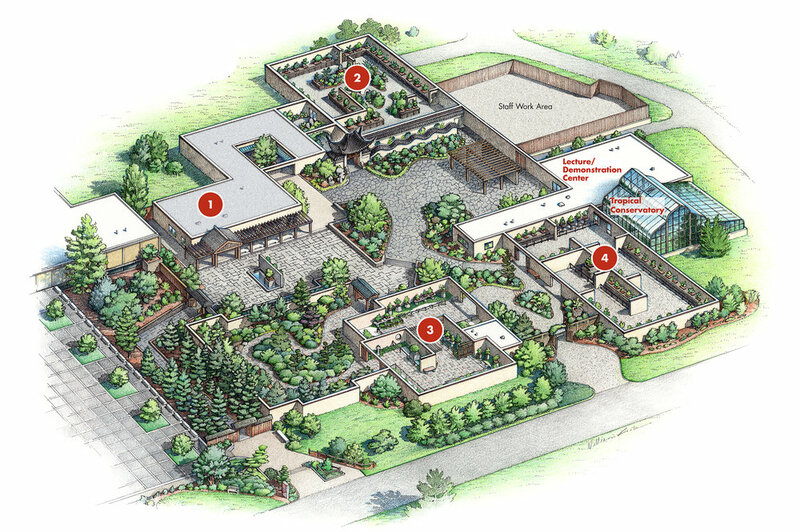 From there, walking through the George Yamaguchi Garden, the visitor reaches the John Y. Naka North American Pavilion and the Kanehshiro Tropical Conservatory. Finally, the Yuji Yoshimura Center provides demonstration space and workroom and office facilities for staff and volunteers. 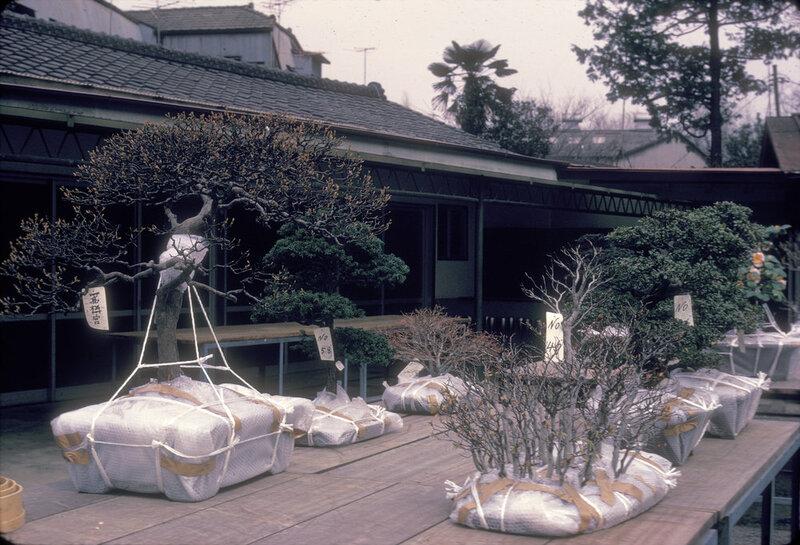 With three separate bonsai and penjing collections representing three different cultures and geographical locations, the National Bonsai & Penjing Museum, located in the capital of the United States is a gift to be shared with all people. The whole idea of having bonsai trees on display in an American setting belongs to Dr. John Creech. 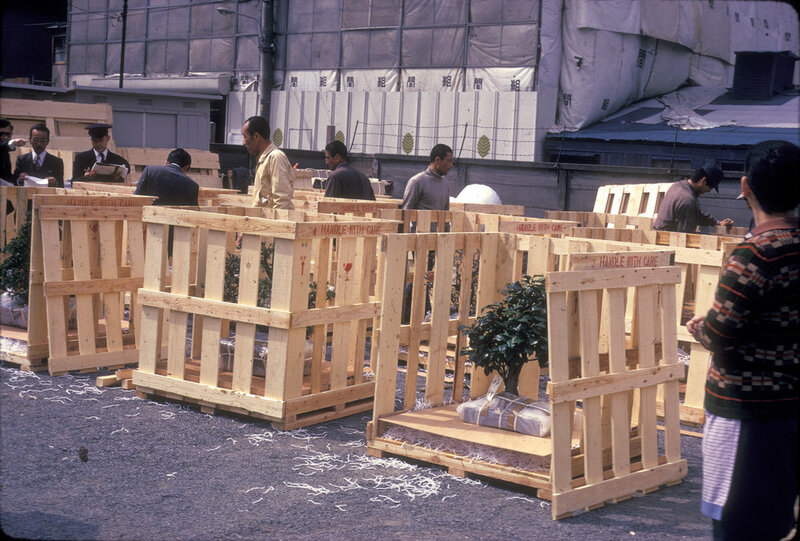 In 1973 he began working with Japan and the Nippon Bonsai Association to bring bonsai to the United States. At the same time he persuaded officials in the federal government not only to accept this gracious gift, but to build a facility to display these unusual trees. Without John Creech there would not be a National Bonsai & Penjing Museum. The bonsai and penjing museum has also been favored by Curators who have each embellished a different aspect in the Museum’s development. 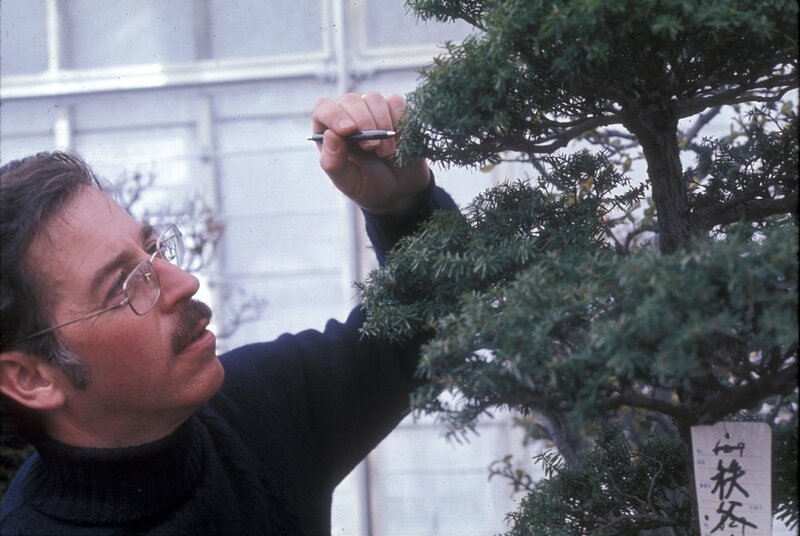 Robert “Bonsai Bob” Drechsler provided the steady hand and meticulous care that the collection required in its early days. For over 20 years, (1975-1998), Bob, and his assistant Dan Chiplis, had the great responsibility of maintaining the collections at the high level expected by the donors. Yet their expectations were surpassed. Then Warren Hill (1998-2001) brought to the Museum a wonderful gift for styling and display that provided the requisite flair to attract new visitors to the Museum. His successor, Jack Sustic (2001-2005), provided the skill to bring the collection to its present level of distinction that brought renown for the Museum. Jim Hughes (2005-2008) brought to the Museum and the collections extensive bonsai knowledge, gained from working with all three previous Curators, and his own artistic talents. Jack Sustic returned as Curator in 2011 and continued to use his outstanding artistic talent to make the Museum’s collections the best in the world. Sustic retired in October of 2016 and Michael James was appointed to carry on this great curatorial tradition in June 2018. The National Bonsai & Penjing Museum would not be what it is now if it were not for the many volunteers who have worked in its collections year after year. While the Curator and the staff have day-to-day responsibilities for the Museum, it is the volunteers who provide all the little attentions that each tree in the collection needs in order to be healthy and beautiful. Many of these volunteers are members of the Potomac Bonsai Association, which has played a primary role in the development of the Museum. Of these many volunteers, one volunteer must be singled out: Janet Lanman. Janet worked at the Museum for over 40 years, starting in 1945, until her passing in 2018. She was a model for all Museum volunteers and thankfully there are many who follow her example. The National Bonsai Foundation (NBF), a non-profit section 501 (c)(3) organization, was founded in 1982 and has as its sole purpose to sustain the National Bonsai & Penjing Museum. It has become one of the top nature nonprofits in America. Under the leadership of two presidents, Frederic Ballard and Felix Laughlin, and with the help of many, but in particular Marybel Balendonck and Mary Ann Orlando, it has raised millions of dollars to benefit the Museum and its collections. Extraordinary benefactors and advisors include David Garvin, Barbara Hall Marshall, William H. Merritt, Mary E. Mrose, Deborah Rose and Howard Vanzant. These people, through the fund raising work of NBF have provided the Museum with its handsome facilities to display the trees and related works of art. In addition to bonsai and penjing trees, the Museum offers a collection of other objects that are intended to be displayed with the trees. This collection also began in 1976 with the six viewing stones that were sent with the initial gift of trees. The collection of objects that accompany the display of plants has grown immensely. In addition to the stunning viewing stones, there are also handsome pots, beautiful scrolls and lovely companion plants. Each of these objects can be used in combination with the trees in the formal Tokonoma* or they may be shown in separate exhibits that explain their relationship to the trees. These different collections give depth to the aesthetic composition of the Museum and also give visitors more reasons to return again and again. Residing at the National Agricultural Library (NAL) in Beltsville, Maryland the library is a special collection of that renowned institution. Many rare books and periodicals dedicated to bonsai and the related arts have been purchased or donated to the collection and it is a treasure trove for researchers and scholars. You can search the NAL online catalogue here.